One of the many things I love about New York City is the sense of discovery I feel whenever I “find” a street I haven’t traveled, a pocket park or a new hotel. While those places may have been seen and enjoyed by countless others before me, I always have a “Eureka” moment when I discover a really special restaurant. And that was how I felt when I had dinner with my daughter at KOA in the Flatiron district. 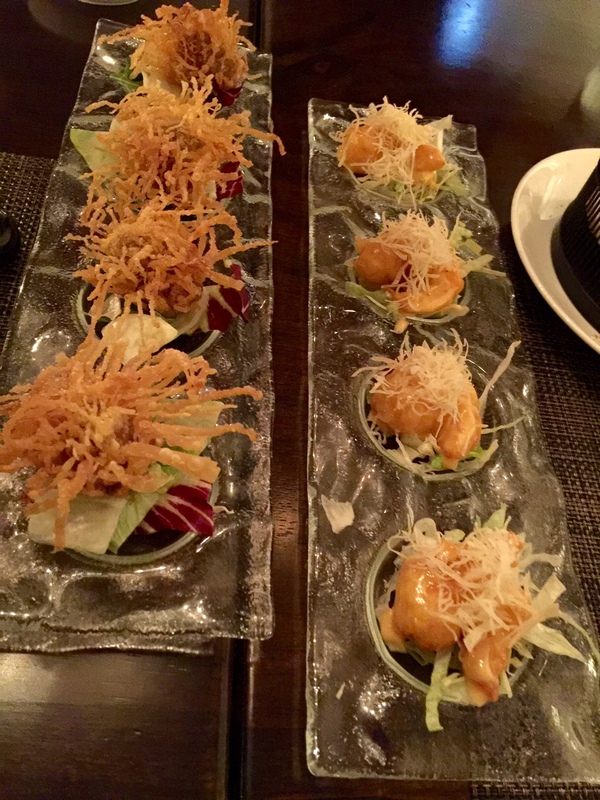 I had been invited by the restaurant’s public relations representative to review KOA’s modern Chinese/Japanese fusion dishes and their healthier noodle menu items. So I expected that the staff would be polite and welcoming when I arrived. They were—very welcoming, making us feel like honored guests. They answered all my questions and made recommendations in response to some of those questions. All in all, the staff and the food made for a truly enjoyable experience. First, the room, of reclaimed wood and brick, was softly lit with unique and dramatic birdcage chandeliers. The design, which incorporates natural and botanical elements into the space’s contemporary setting was by the Hawaiian firm WanderLust+ and inspired by the Hawaiian Koa tree. One wall was dedicated to video projections. On the evening I was there, the old Japanese version of Iron Chef (a favorite of mine) was playing—and featured on the show was Iron Chef Chinese, Yuji Wakiya, who is the executive chef of KOA. Next, the food, accompanied by a warmed sake: First came the Yuzu Crispy Shrimp accompanied by a sweet & spicy yuzu pepper cream sauce over a bed of lettuce. It was so, so good, I would have been happy to eat seconds and nothing more. At least that’s what I thought until I tasted the Golden Nest, tender beef tenderloin wrapped in a crispy wonton with black pepper sauce. And once again, I thought: I could stop here. But we had to try one of the house’s very special dishes, the Lobster Sorba: an oven-baked lobster tail served with a sweet chili sauce, sautéed vegetables and soymilk broth. This dish was so inviting—and the serving so large—I wished we had another family member to share. The lobster was succulent and tender, but the noodles were the star. 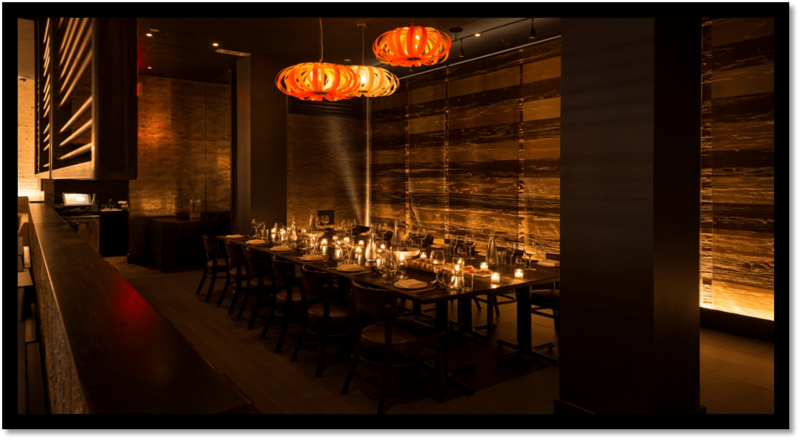 SORBA is a KOA original concept that combines elements of soba and ramen. The hand-crafted noodles, somewhat thicker than ramen, are served in large bowls in a pool of broth made with Ko-Cream, a Japanese imported soy milk that has 70% fewer calories than regular cream. The meal was so sumptuous that no dessert was wanted or needed. Then came the best part (though for a moment it was embarrassing). When I’m invited to review a restaurant, I usually leave a substantial tip for the servers, thank everyone—and then leave. I did that—and a moment later, our server rushed outside, clearly embarrassed. Apparently, the restaurant had not been informed that I was an invited guest—so the hostess thought I was running out on the bill! Okay, as I said, there was a moment or two of embarrassment until a brief discussion and a phone call cleared everything up. But the best part was this: we had been treated like royalty throughout our meal and I had believed it was because everyone knew I’d be writing about the restaurant. So—I’d been wrong! Apparently everyone is treated with courtesy and care—and that was indeed a discovery, one that marked KOA as a very special restaurant. A little background: The late Rocky Aoki, founder of Benihana, predicted that noodles would surpass sushi as America’s favorite Asian food—a prediction he shared with his wife and CEO of Benihana Tokyo, Keiko Ono Aoki. 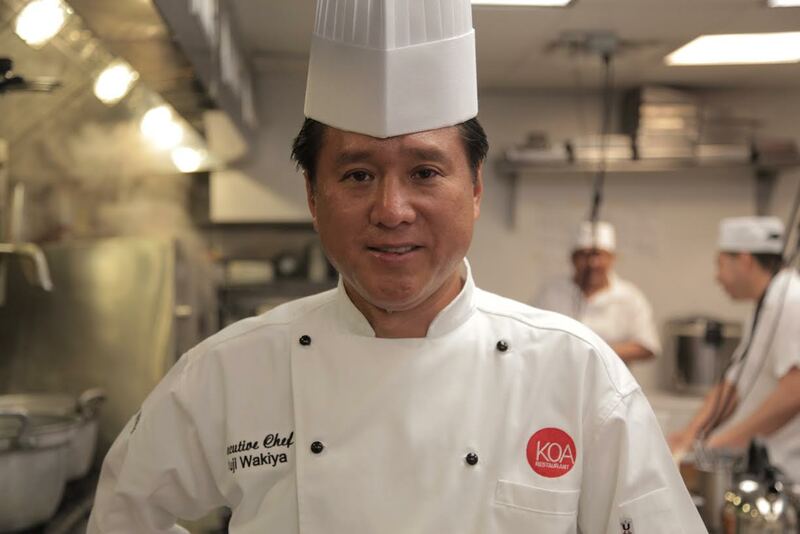 Keiko joined Iron Chef Yuji Wakiya to create KOA. Executive Chef Wakiya has crafted a menu of Chinese dishes featuring ingredients and cooking techniques from Japan. Key to the concept of Chef’s menu is SORBA, a KOA original created with Keiko and combining elements of soba and ramen. In addition to the menu of ramen and SORBA noodle dishes, Chef Wakiya offers other selections, including such small plates as the delectable shrimp I tasted, Hehe-A-He Chicken with wok-fried chicken and chili peppers and the Kakuni Pork Buns. There’s also a large selection of fried rices, including Ginger Fried Rice with pickled ginger and Shrimp KOA Fried Rice with seasonal vegetables and shrimp.